Last night was one of the most amazing nights ever, I went to Demi Lovato‘s concert in Holmdel, New Jersey!! I went with my sister and four of our friends and the six of us piled in our minivan and drove on down to NJ. After our two hour drive in stop and go traffic (and after a quick pit stop in Subway) we finally got to the theatre. Luckily for us we had bought VIP tickets so before the show we got to chill out in the VIP lounge and sit on fancy couches before the show started! Hot Chelle Rae opened for Demi and they were waayy better that I expected them to be! I love their songs ‘Tonight Tonight’ and ‘I Like It Like That’ but now after the concert I also really like ‘Radio,’ ‘Whatever,’ and ‘Downtown!’ Not only are they extremely talented live but the lead singer is pretty cute! Right as the show started there was non-stop thunder and lightning but the rain could not stop us die hard lovatics! It was an outdoor theatre but (thank goodness) our seats were covered! It was as if it wasn’t even raining! When Demi finally came out she opened with her fast-paced hit ‘All Night Long’ looking fierce in a black mesh bodysuit, high-waisted red leather shorts, and a white and black cardigan (not to mention her ah-mazing ombre pink hair!). The entire show she was dancing and shimmy-ing around the stage belting out every note as though it was her last. 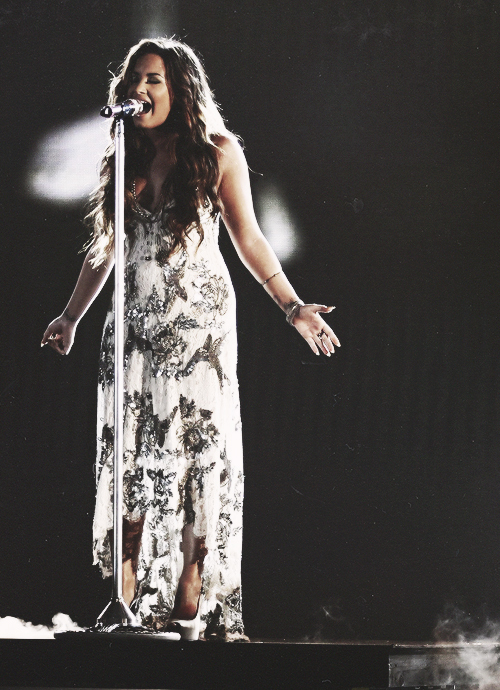 Demi is a definitely phenomenal performer but, even more than that, she is incredibly talented. Her voice is so much stronger now than it was years ago and she doesn’t need any computerization added to her voice, her voice is PERFECTION. 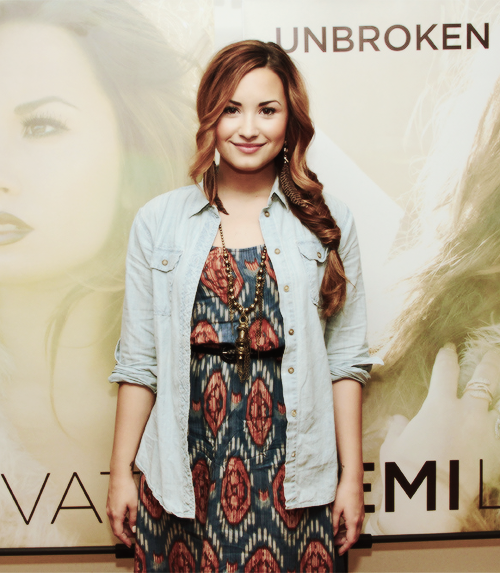 Everything about Demi is inspiring. She remained true to herself despite the massive amount of fame she has and she is still the goofy, quirky person she was at the start of her career. Demi is always on the news for the good she does, she stays out of trouble! 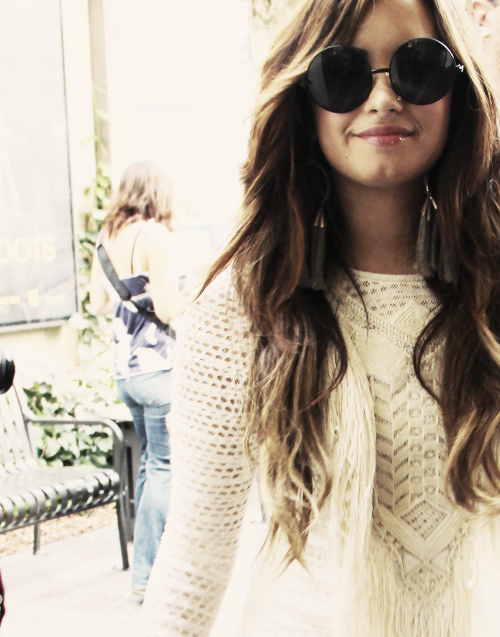 Demi is so admirable for realizing she was a danger to herself and seeking help. Over the years, Demi has grown into a strong, honest, and beautiful person who will continue to spread her love to all that needs it. Last night was fantastic. 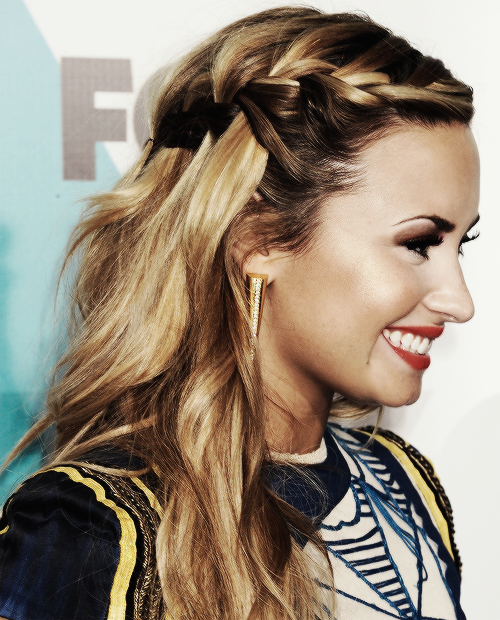 Demi was flawless as usual. I had a blast! STAY STRONG!